HN Issue 11: Haiti & Ethiopia: Garden Projects in Bloom! Two hundred farmers in Cachiman, Haiti are gearing up for a large-scale garden makeover. A committee of local leaders are partnering with FH Canada to improve food security and reverse the deforestation and erosion that’s degrading the soil. Three sites have been chosen for the agricultural overhaul: two for tree nurseries to grow seedlings and fruit trees, and one for a demonstration garden where farmers will work with agricultural experts to learn the area’s best practices and how to select and use high quality and resistant seeds. The FH agronomists are encouraging farmers to plant cassava, maize, peas, banana trees, plantains, and other crops which do well in the Haitian climate. Farmers are also being taught to keep quality seeds from each harvest for future use, rather than eating or selling the full harvest and having to buy new seeds next season. Higher yields will mean that farmers can feed their families, store seed for the next year and even sell some seeds (which fetch a better price than the food itself) to the local market. As part of the program, the 200 farmers have also agreed to give some excess seed back to the program for use in the demonstration garden and for start-up supplies for other local farmers joining the program. About 10 years ago, Abdi Shafi and his family were resettled to a barren plot of land in Ethiopia and the following years were tough. Four years ago FH Ethiopia began working with Abdi and other farmers on plant production, termite control and composting. He received vegetable seeds at the trainings, and also received 50 coffee seedlings. After year one, Abdi had 50 healthy coffee plants. After two years, he’d harvested his first kilo of coffee seeds! 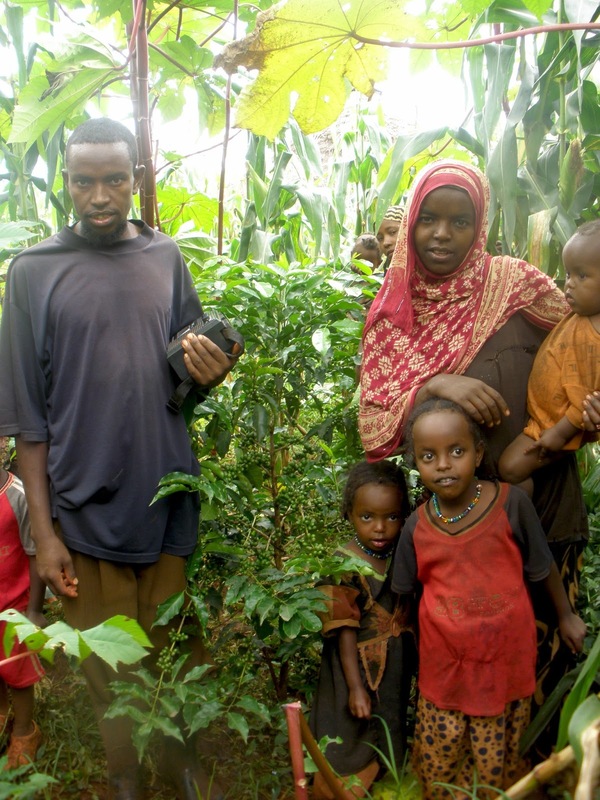 By the third year – last year – Abdi had produced 8 kilos of coffee and was able to enjoy a cup of his own home brew. He has now trained 10 other farmers to make the changes that led him to success! Gift Guide Gardening: www.fhcanada.org/gifts for these gifts and more! Food for the Hungry: HN Issue 11: Haiti & Ethiopia: Garden Projects in Bloom!